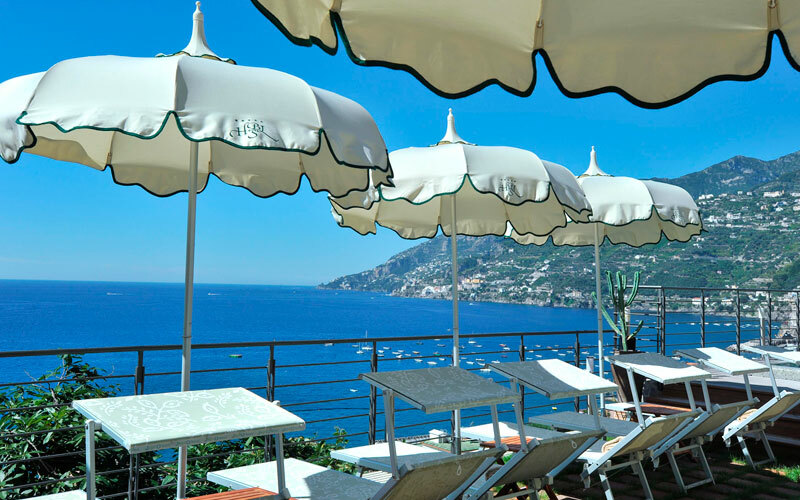 The Amalfi Coast is a land of dramatic contrasts, of precipitous rocks, lush green mountains, a clear blue sea and, of course, the ever-present Mediterranean sun. 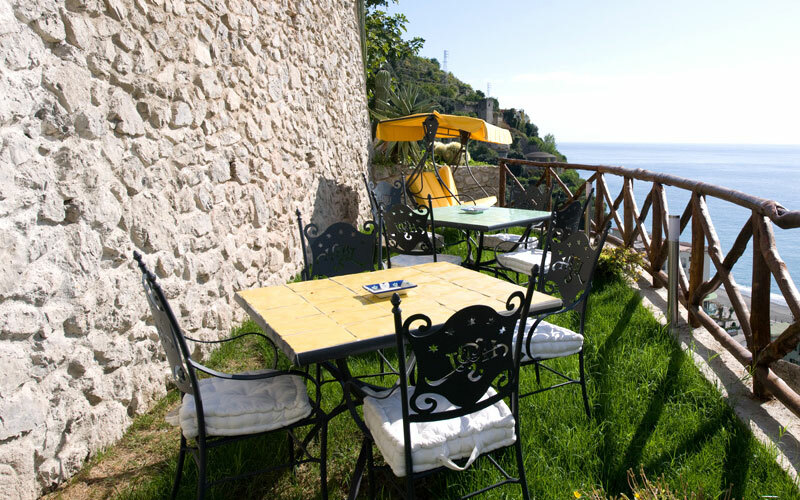 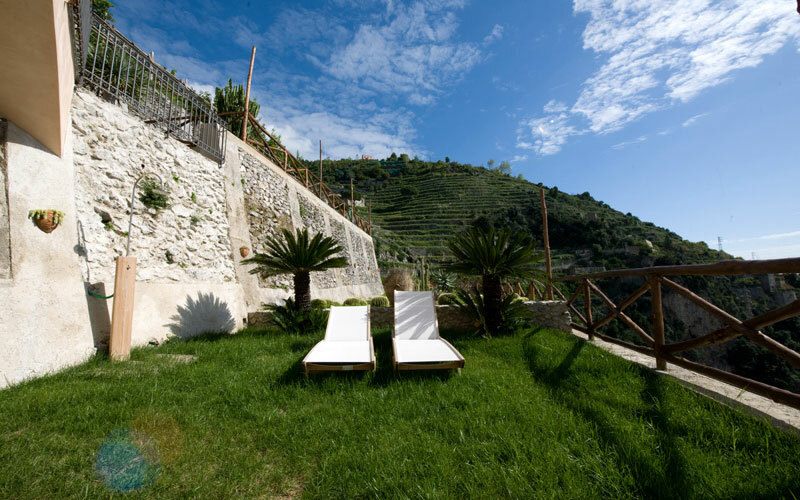 Along this glorious coastline there are many hidden treasures just waiting to be discovered, places such as the Botanico San Lazzaro, a small hotel perched on the cliff edge overlooking the enchanting Bay of Maiori. 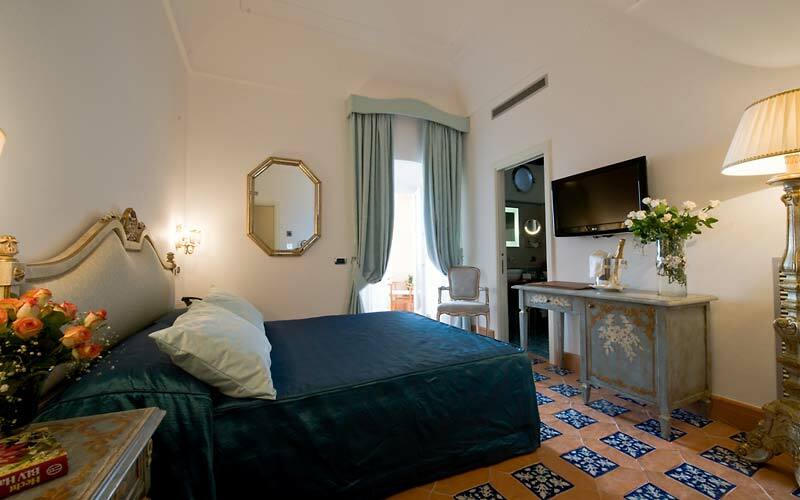 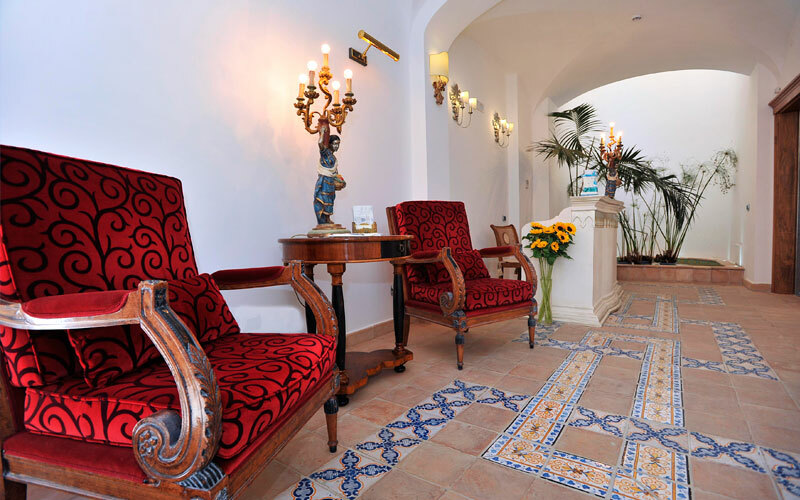 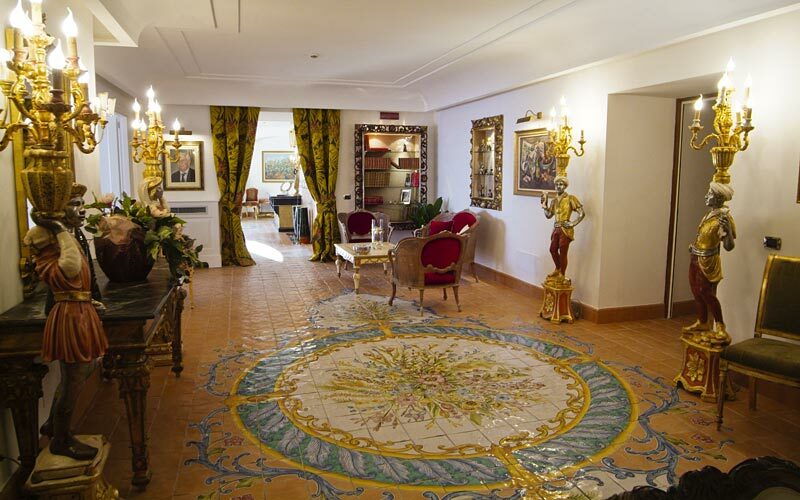 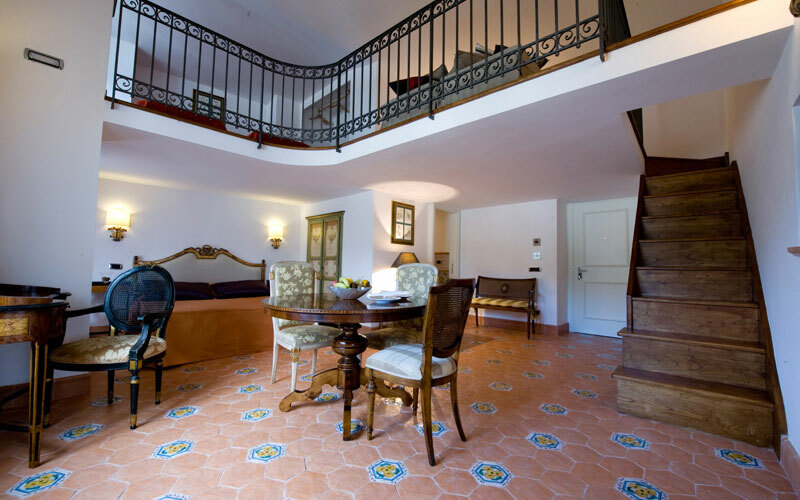 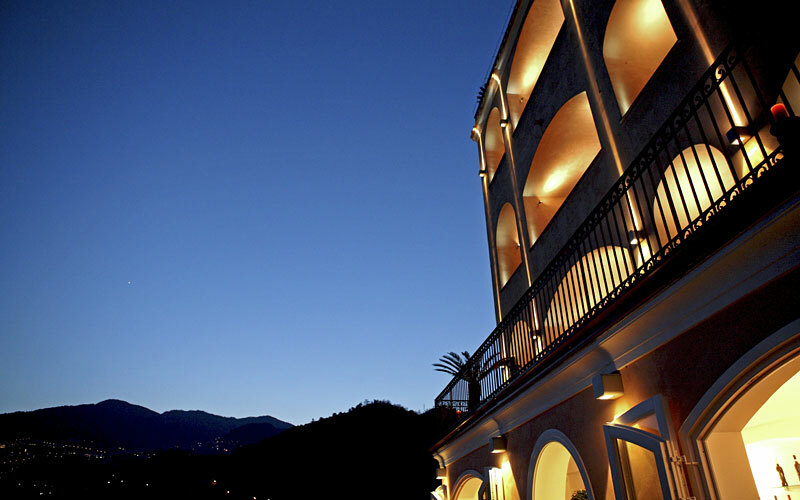 With its succession of graceful arches, sunny terraces and flower decked loggias, Hotel Botanico San Lazzaro is the epitome of Mediterranean charm. 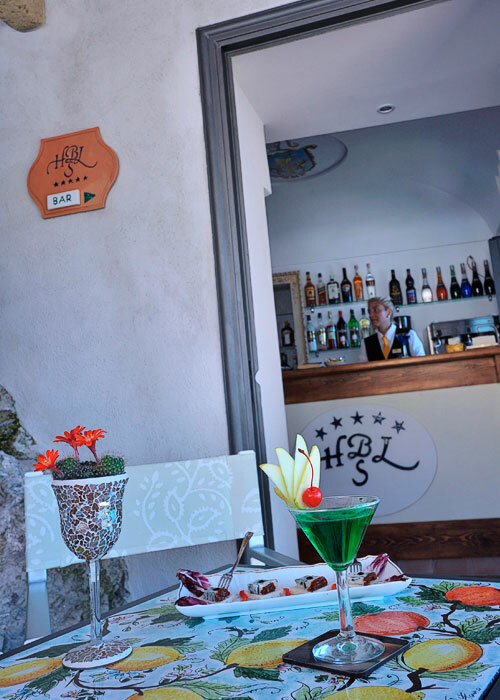 Immersed in the colors and perfumes of Maiori's lemon trees, the hotel's "Exotic Garden"' contains over 2000 varieties of cactus and is the ideal place in which to relax over a good book or aperitif. 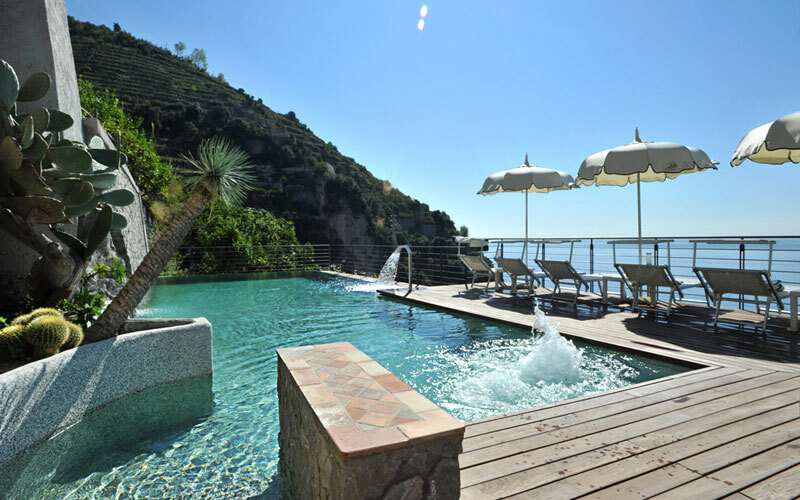 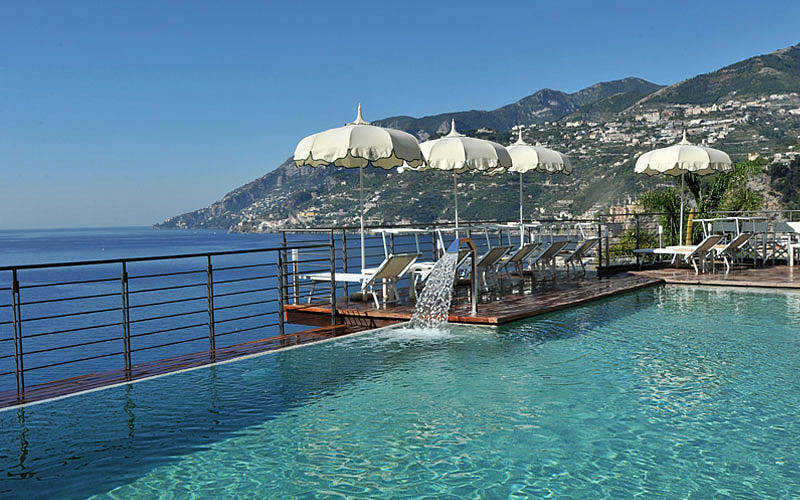 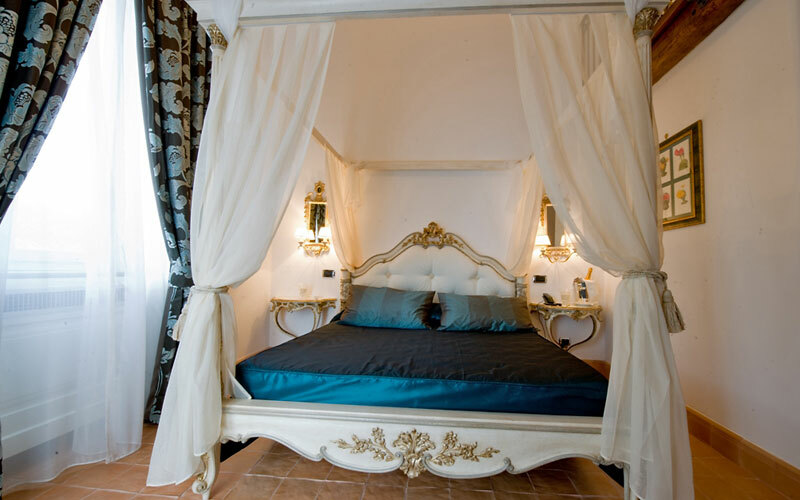 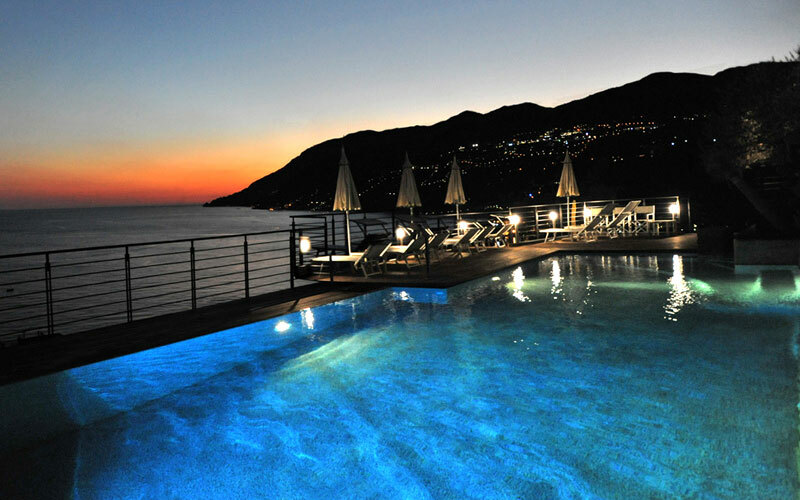 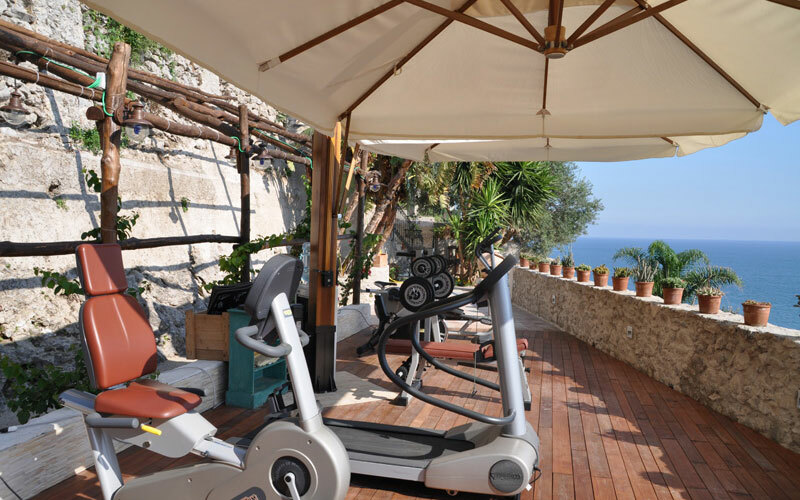 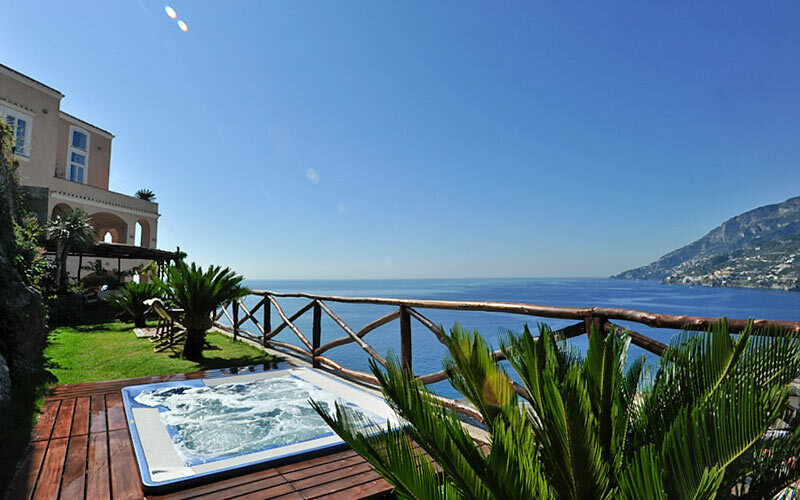 Each and every one of Botanico San Lazzaro's 18 bedrooms enjoys magnificent views of the sea. 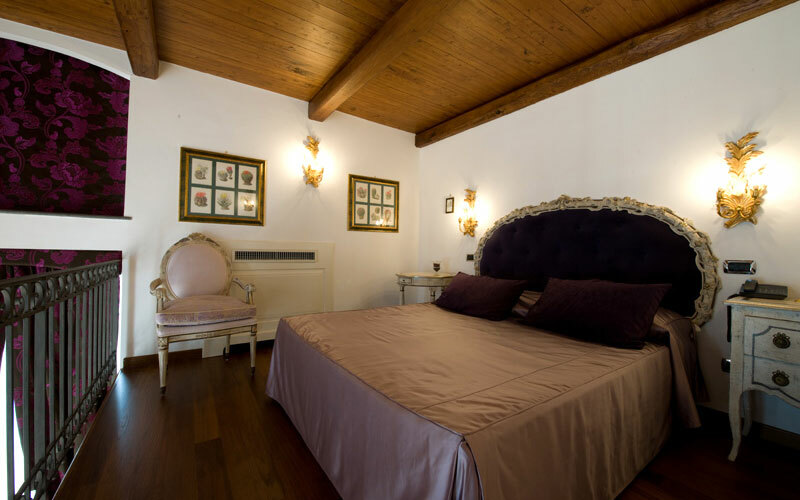 Elegant and functional, all guest rooms are decorated with the highest quality, custom-made furnishings and equipped with high speed internet connectivity and bathrooms with luxurious hydromassage shower or bathtub. 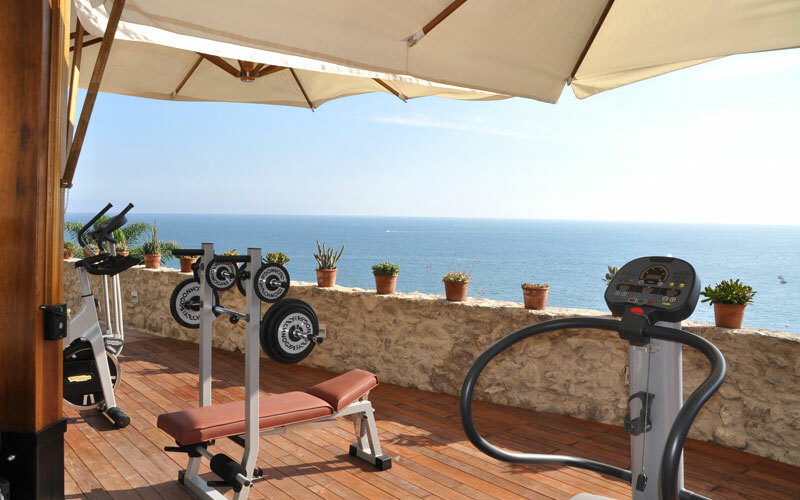 The much requested "Premier Suite Special" even has its very own in-suite gym! 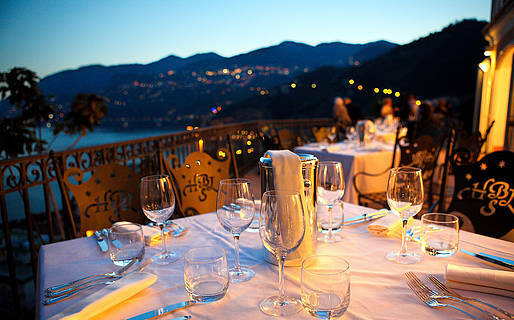 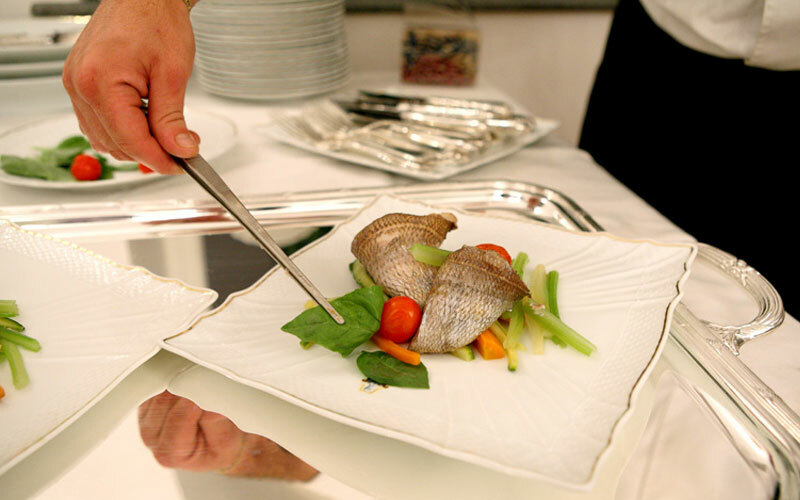 Guests dining in Hotel Botanico San Lazzaro's romantic "Donna Clelia" restaurant are treated to delicious local dishes, prepared with the Amalfi Coast's abundant fish and sun ripened fruits and vegetables which are served in the small dining room or on the terrace overlooking the sea. 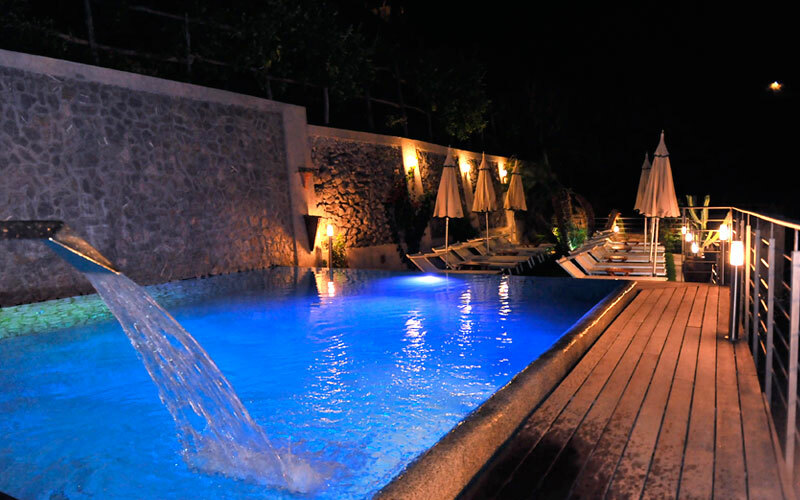 For sea lovers, Botanico San Lazzaro operates a shuttle service between the hotel and Maiori's exclusive Moorea Beach Club. 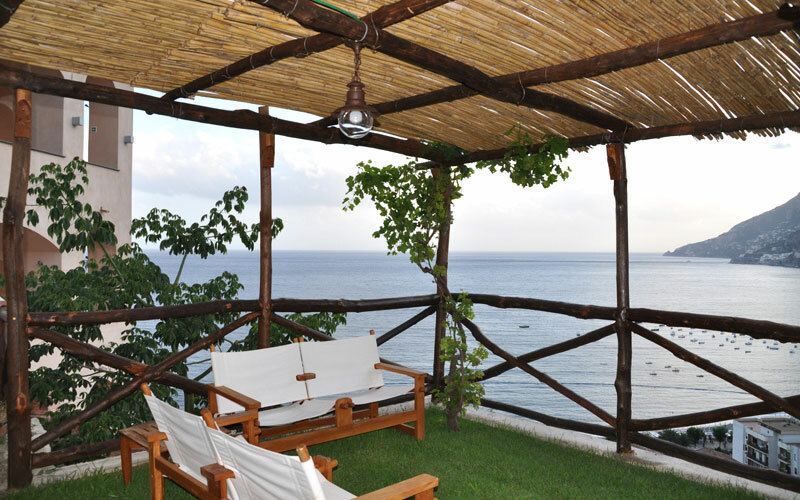 The hotel's "Colombo 31" boat is available for unforgettable excursions along the coast. 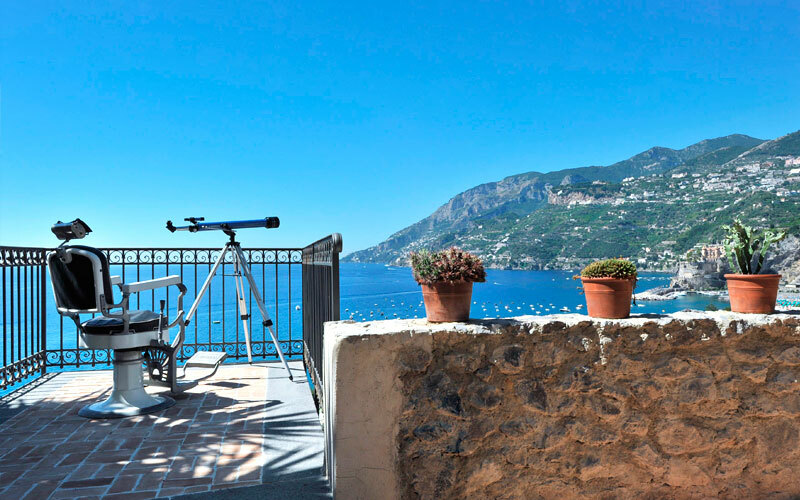 A tiny coastal settlement traditionally inhabited almost exclusively by fishermen, agricultural workers, and their families, the peaceful little town of Maiori is one of the Amalfi Coast's best kept secrets. 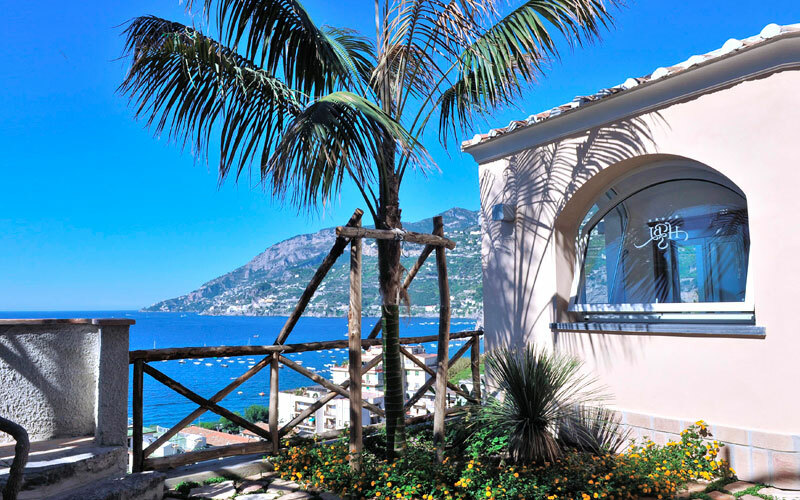 Perched on a natural terrace from where it dominates the historic center, Hotel Botanico San Lazzaro combines faultless hospitality with a magnificent view of the bay. 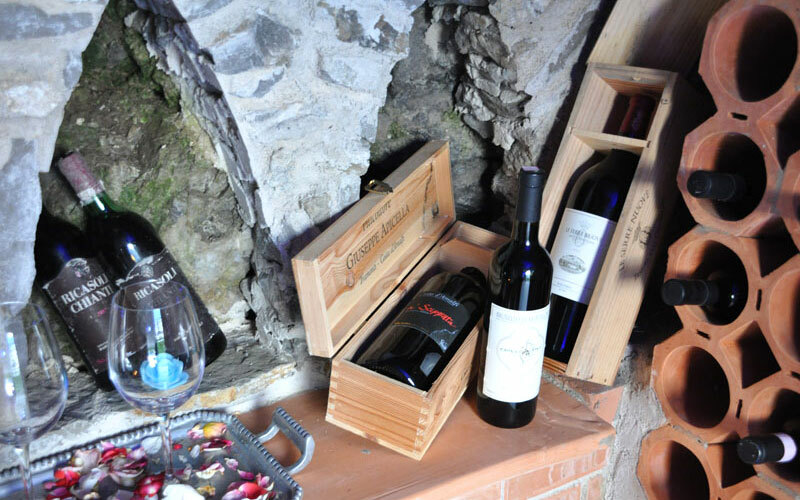 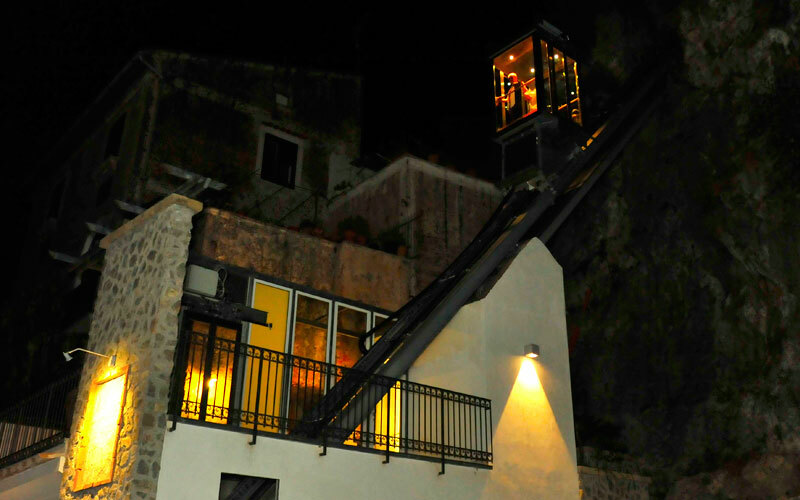 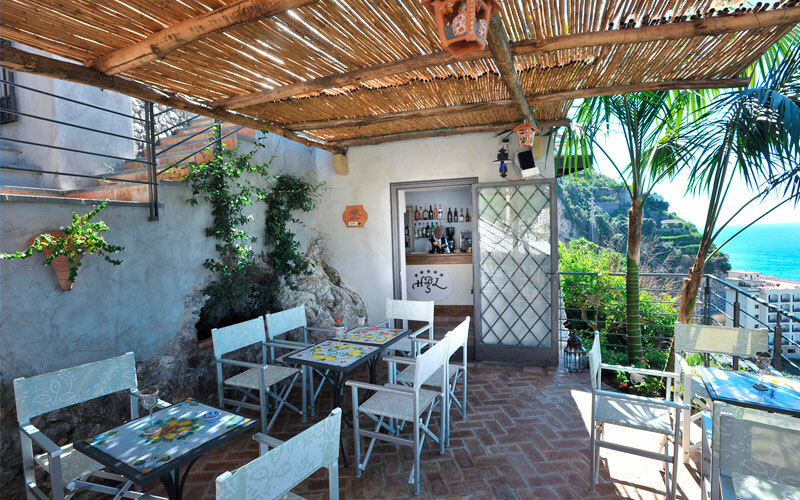 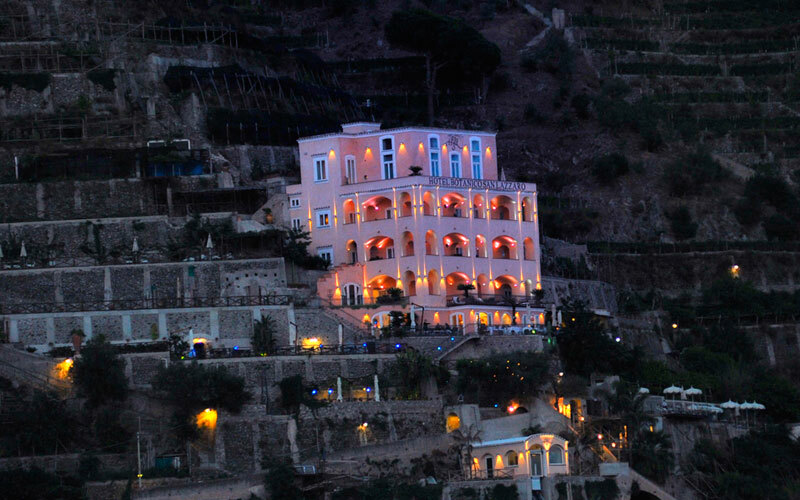 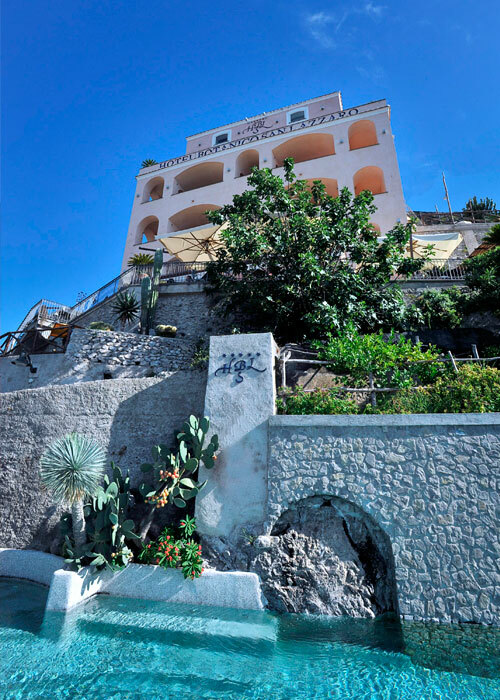 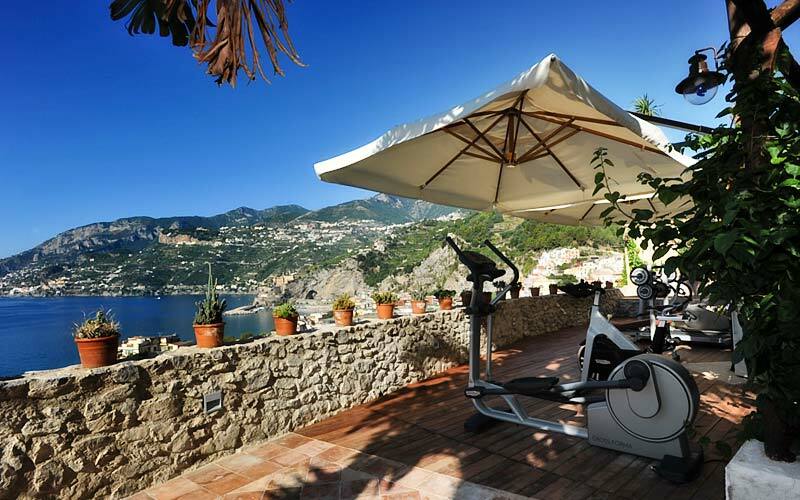 From Maiori, the legendary towns of Amalfi and Positano are just a short bus, car or boat ride away. 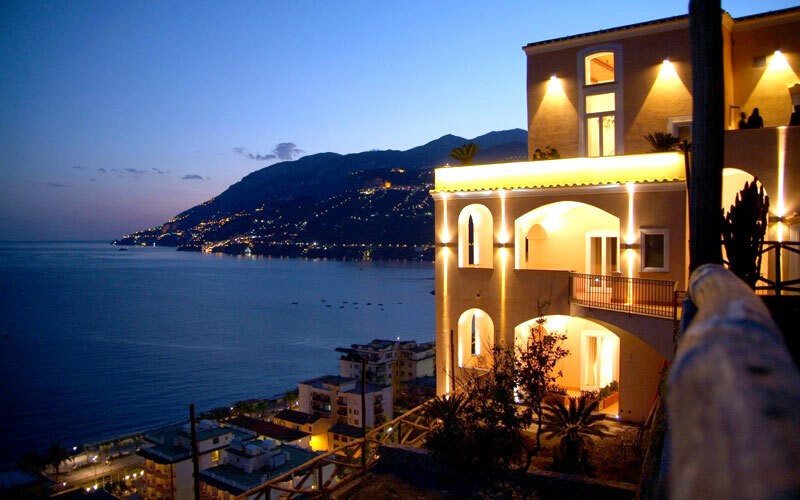 Ravello, Furore, Cetrara, Vietri sul Mare, Cava dei Tirreni and the city of Salerno are, likewise, situated within easy reach of the hotel. 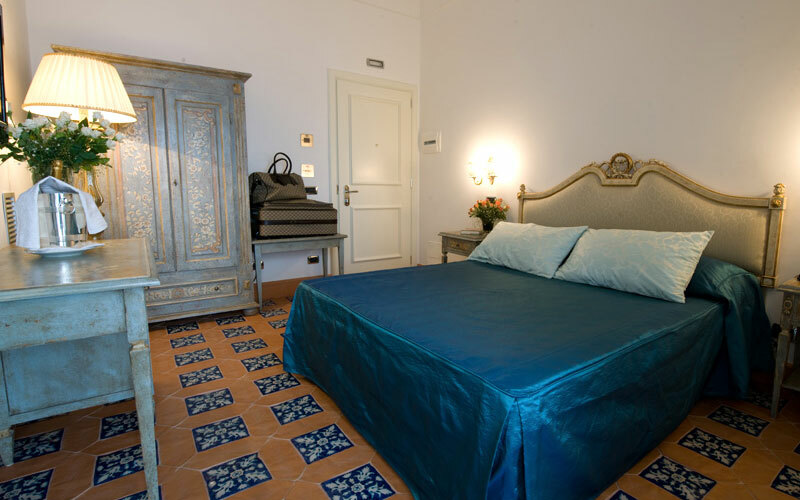 Only a little further away, the archeological areas of Paestum and Agropoli and the National Park of Cilento and Vallo di Diano are all well worth a visit. 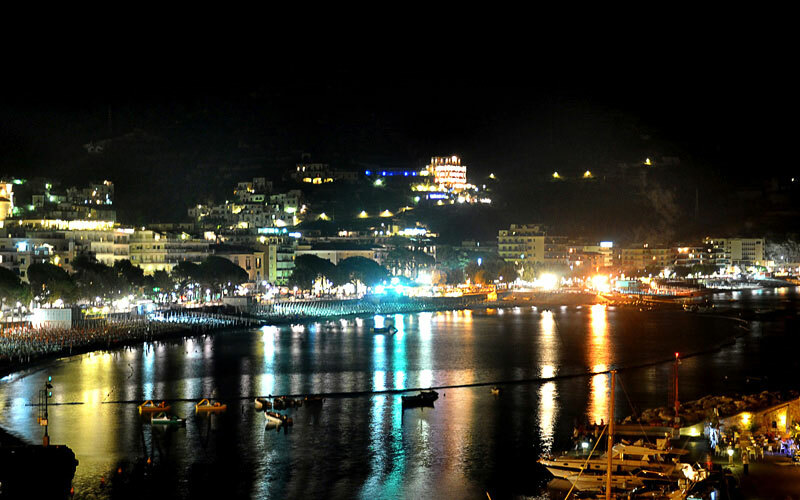 The city of Naples is just over an hour's drive away.